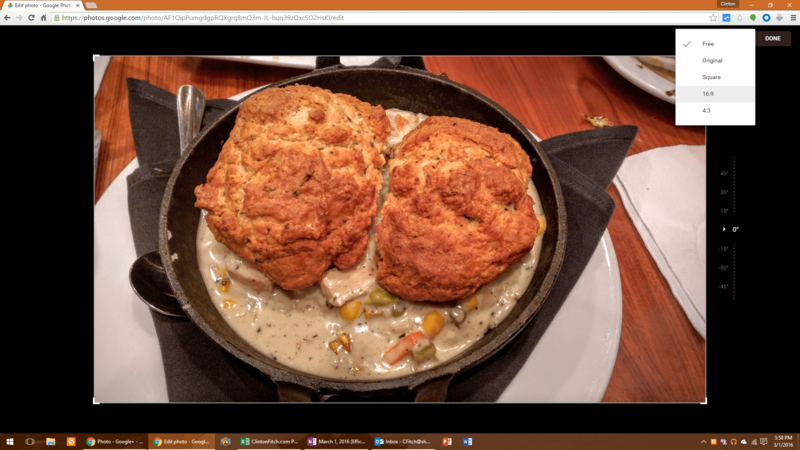 Google has quietly released an update to the web version of Google Photos today with the main improvements having to do with editing and cropping. The first change has to do with improving editing speed while switching between photos. To this point, if you wanted to edit a photo, you would have to go into edit mode and the back out of that mode if you wanted to go to another photo and edit it. That’s gone with this update. Now you can stay in edit moved as you move between photos on Google Photos, increasing the speed at which you can edit photos while decreasing the number of clicks. The other nice change that came to the service is some automatic cropping ratios. Previously you could only really crop freehand (which you can still do). Now on the website you can go to a photo, select the Crop & Rotate menu and then you will see a new Aspect Ratio icon. From there you can chose some commonly needed ratios like 4:3, 16:9 or Square. Like the other new feature, the idea here is to give you speed if you are needing to crop photos down quickly. Both of these enhancements are now live on the site and you should see them when you log into the Photos website the next time. There is nothing for you to do or change on your side. As for when or if these features will make it to the Android version of the app is unclear. The update today was only focused on the Web version but it would be good if these made it to the app versions, particularly the Aspect Ratio cropping tool. That could be a huge time saver on mobiles as you try to crop down that photo to a Square for Instagram.